Although I'm still completely overwhelmed by the fact that something as pure and simple as a water based solution makes such easy work of removing make up (even the likes of stubborn mascara) I'm certainly no stranger to using Micellar Cleansing Waters. 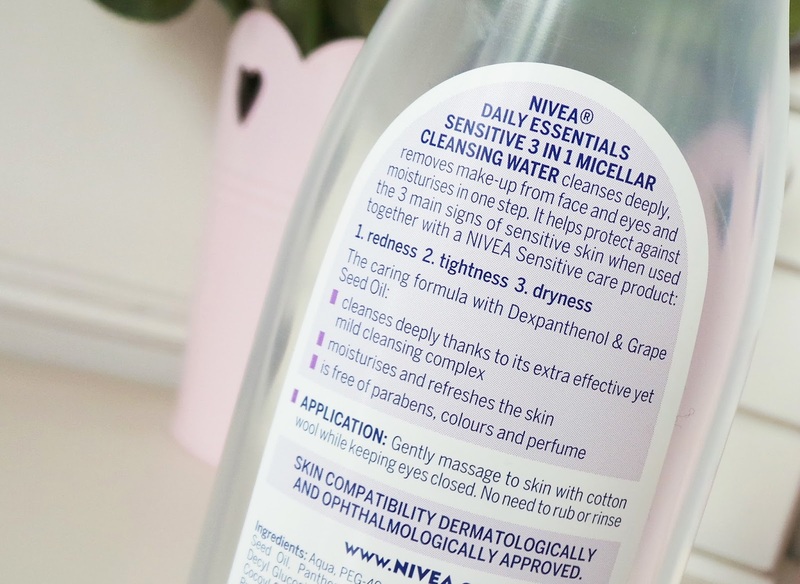 I know everyone in the blogging world has been raving about the newly released Garnier version, I decided to be a little different and opted to try out the New Nivea Sensitive Micellar Water. I'm a big fan of Nivea products, I incorporate Nivea Daily Essentials Face Scrub and Nivea Express Hydration Primer(my review here) into my daily skincare routine, and I find the products work really well for my skin type. 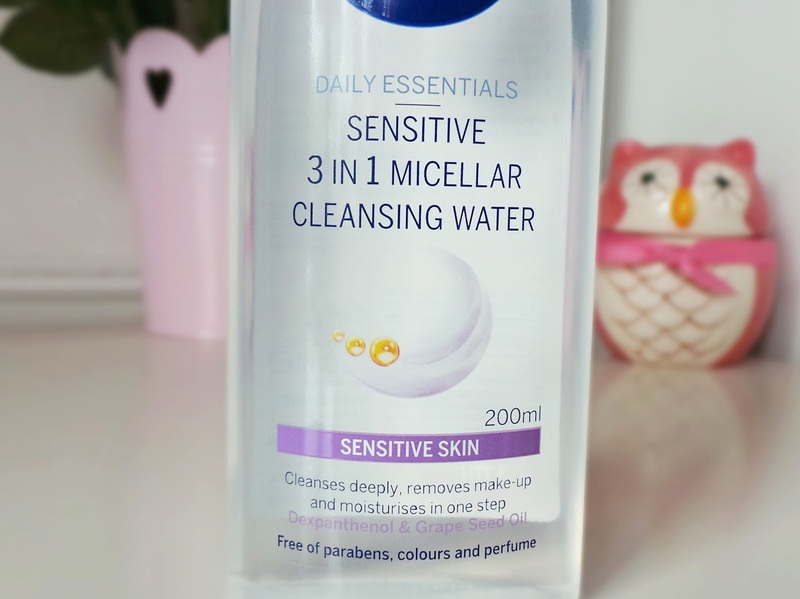 Micellar waters are usually suitable for most skin types because they are gentle, however this one from Nivea is specifically formulated for sensitive skin types. It is a very mild, but highly effective cleanser, which uses Micelle technology. By using the water on a cotton pad and swiped gently across the skin, the Micelle's work like a magnet to dirt and make up particles, but keep the water on the outside, so no need to rinse away afterwards! The formula contains grape seed oil and dexpanthenol, which both work to moisturise and refresh the skin. 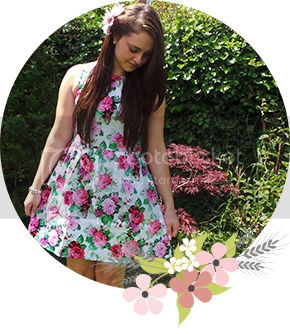 It is also free from harmful parabens, colours and perfumes! It is described as 3 in 1, this is because it helps to protect against the three main signs of sensitive skin; redness, tightness and dryness! I would most definitely recommend this product to anyone, sensitive skin or not, and it's affordable too, at just £3.99 for 200ml. It's a really handy product to have, and makes real easy work of removing your make up, so no more excuses for going to bed with a face full of slap, especially if you're super lazy like me when it comes to skincare! Are you a fan of Micellar waters? 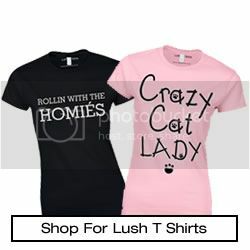 Which one would you recommend? 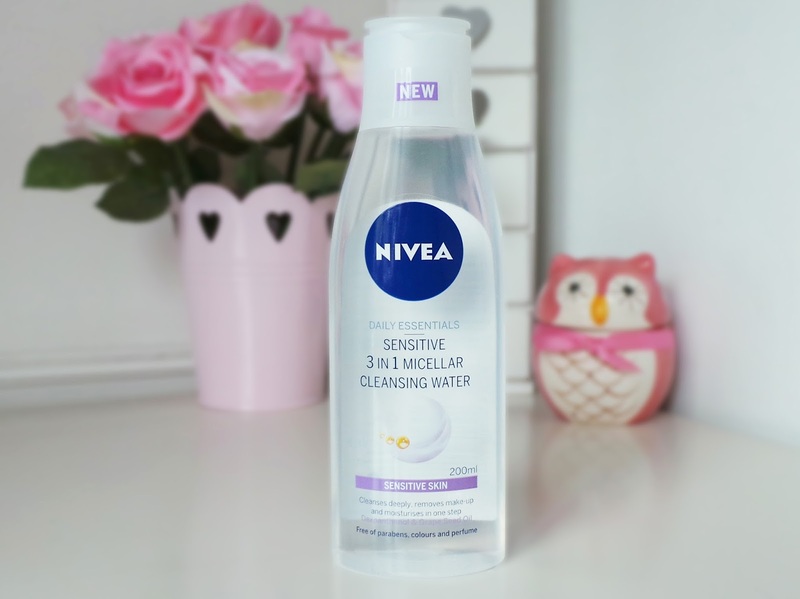 I feel like I've tried to Nivea Micellar water in the past when they first came around last year! Lovely post! I think it's great to go for something else :) I went for Garnier one when it was released. Well, not right away- I read a few reviews first. And I'm perfectly satisfied. It's great for my skin which is dry and very sensitive. And taking my make-up off was never so precise and easy! :) Big bottle for little money. When I'm done with Garnier one, I'll search for Nivea so I can try this one out too.